employers must take more ownership of the skills debate if there is any hope of aligning workplace training and skills development with long term business strategies and overall economic success. It’s crucial to give employers more opportunities to lead when it comes to skills investment and setting the standards for quality outcomes, and to ensure the debate about skills and training does not exist in its own “bubble”, but forms an integral part of discussions about long term business planning and growth strategies. Of course, there needs to be accountability as well – if funding is going to be channelled through employers, they should be required to improve their human capital reporting to show how they’ve invested in learning and development and, crucially what the outcomes have been. Developing programs that build relevant work skills in young people, working collaboratively with FE, HE, and training providers is good for business, as well as helping to engage young people and build the kind of workforce we all need for the future. Apprenticeships are already playing a growing role in employer efforts to meet their future skills needs, but our Learning to Work research shows that some employers still have concerns about the extent to which apprenticeships are sufficiently tailored to their needs, while others feel they’re not sufficiently relevant to their sector. Doug Richard’s recommendations on apprenticeships, combined with the funding that’s already been made available for the UKCES’ employer ownership pilots, will help employers take the lead on defining what a good apprenticeship looks like. The faster these recommendations are implemented, the more quickly even more consistently high-quality, employer-led apprenticeships can be created. Perhaps unsurprisingly, we also welcome Doug Richard’s recommendation that employers and professional bodies should take the lead role in establishing high quality apprenticeship qualifications for their sectors. We have already produced guidance on Apprenticeships that Work for employers across all sectors and have worked with Skills CFA to establish a Higher Apprenticeship in HR Management. Through our Learning to Work campaign, we are committed to working actively to promote high quality apprenticeships and do all we can to ensure Doug Richard’s ambitions are realised. Together, all of these recommendations will help the apprenticeship success story to grow and grow. 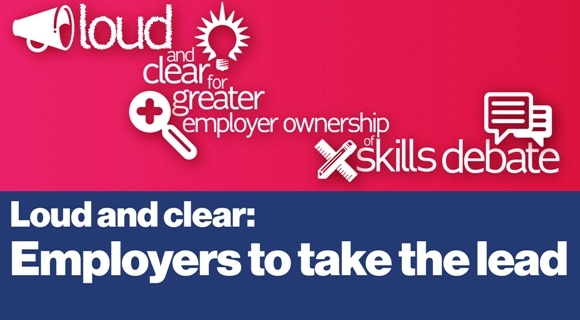 With employers setting the standards, perceptions of apprenticeships amongst parents, teachers and others who influence education and career choices, are more likely to improve too, ensuring that the supply of young people inspired to follow this route to developing work-based skills and entering employment continues to grow.